See also original Supreme plan location on their website! One-Time Setup 14,99 € if you go Monthly! MySQL databases, which are based on SSD hardware with short reading/writing access, massively increase performance. You are able to configure your Web Hosting package through an intuitive web menu and data can be simply loaded into your web space. Your comprehensive package against online dangers: from spam protection to encrypted communication and automatic backups. You can benefit from our proven quality that we have maintained since 1997. If you have problems or questions, our support team is here to assist you. SSH (Secure Shell) will encrypt access to your web space in a Web Hosting Premium or higher package. The simple way to establish a secure SSH access. Read more about using and setting up SSH in our FAQ. We support new and older PHP versions until the End of Life stage. Furthermore- many apps for Blog, Online Shop and Content Management System are available. All applications are pre-configured for your web hosting product. Manage emails with your own email client or with our free Webmail Pro directly from your browser. If you upgrade to Mobility or Premium Mailbox, you will also enjoy access to professional mobile and groupware functions. 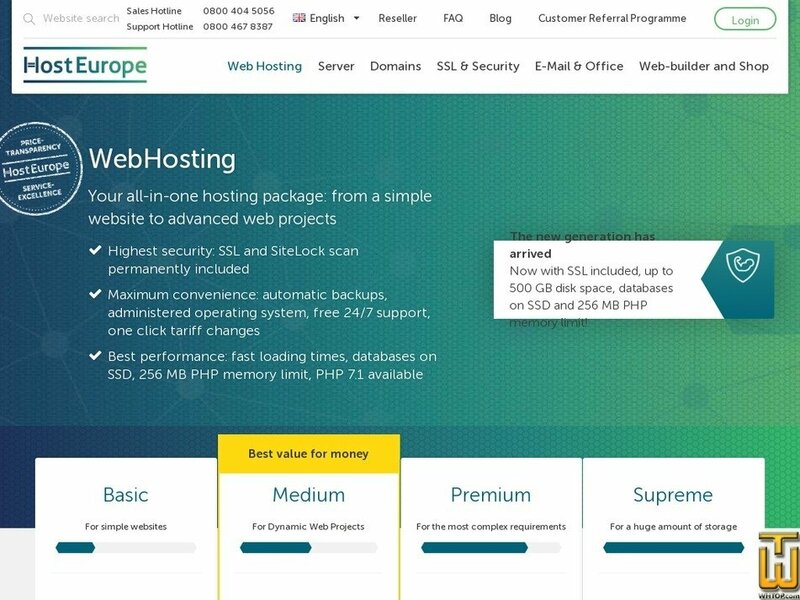 With the new pricing options, web hosting is now even more flexible and does not bind you to any contractual obligations. If you choose a contract of 12 months you can save the entire setup fee. Our use of high quality DELL hardware means we guarantee a reliable and high performance of your web hosting package. With the self-sealing FTP Lock your website is completely protected against unauthorized access. Web Hosting includes even more mailboxes and memory capacity for your email than ever before. This means that you no longer have to worry about large attachments or having too many emails in your mailbox. Want to create complex web projects with their own fixed IP addresses? For more demanding applications e.g. for a blog with high traffic, setting up your own FTP server, a content management system or an online store, WebServer is ready to provide more performance and capacity at an affordable price. Do you want to quickly and easily create a website or set up a blog? WordPress is the perfect solution for preparing your professional web presence and it’s already installed for you on our specially optimised hosting system. You can start immediately and have the latest version, database and web standards. Price: € 7.98/mo. VAT 19% inc. NOTE: USED to be 750 GB Web Space, but not anymore! Price: € 16.72/mo. VAT 19% exc.